Noon Whistle co-founder and brewer Paul Kreiner grew up vacationing in Marquette, Wisconsin where a local tradition left an indelible mark. Each day at noon a whistle blew signaling that it was time to take a break, relax and have lunch. For Paul and many others that also came to mean enjoying a nice, refreshing beer. Determined to prove that big flavor need not mean big alcohol, Noon Whistle set out to brew more sessionable brews, the kind of beverage you could enjoy at any time of day. 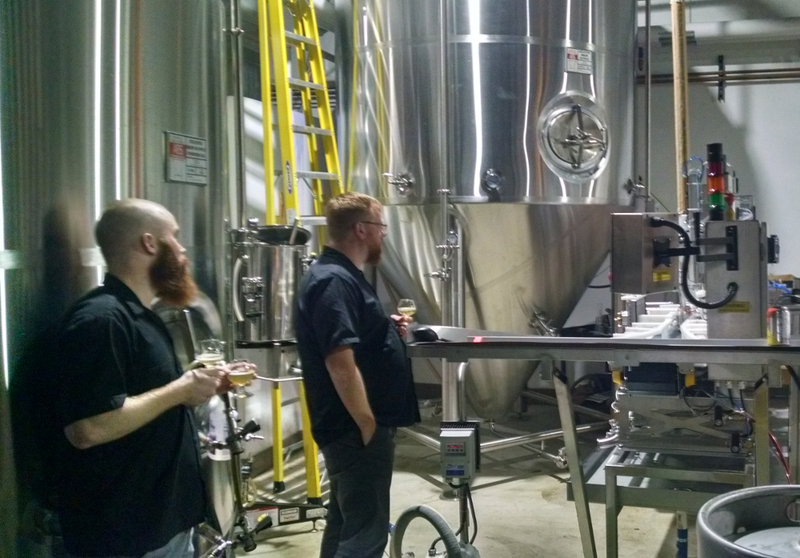 We recently stopped by Noon Whistles brewery in order to taste and see what they were all about. With a brand new canning operation up and running, we are happy to announce the arrival of three tap room favorites now available in six packs at a Binny's near you. Noon Whistle Bernie Roasted malts are the star of the show here, delivering layers of chocolate and coffee aromas and flavors. Bernie Milk Stout is brewed with lactose sugar which imparts a lovely residual sweetness that reminds us of a slice of tiramisu. Deliciously smooth yet not overly decadent, Bernies light finish had us reaching for more. Noon Whistle Cozmo The nose on Cozmo is nothing short of incredible. Citrus, tropical fruit and pine all come together in this flavorful and exceedingly drinkable pale ale. The finish is clean, with a touch of stone fruit and green peppercorn. Noon Whistle M-Punk M-Punk is the first in a series of ales featuring a rotating variety of hops. M-Punk is a hoppy red ale built around the Mosaic hop. Caramel malt sweetness paired with fruity hops produces an interesting marmalade characteristic while aggressive dry hopping leads to a snappy and herbaceous finish. 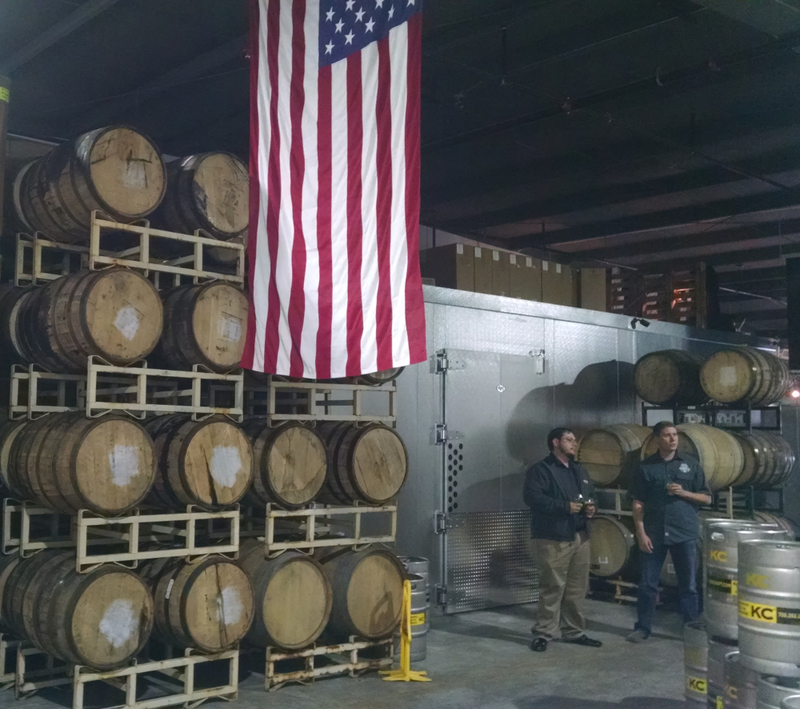 Pictured here is Noon Whistles 15 barrel brew house. At the time of our visit lactobacillus was quietly working its magic and transforming fresh wort into a deliciously sour Berliner Weisse. Noon Whistle is proof that Kettle Sour need not be a dirty word. When done right, they are beautifully tart, remarkably refreshing and clean! Keep a close eye on the Beer Buzz, Noon Whistles SMACK line of sours will be canned in the near future and they are not to be missed! Here is Noon Whistles Wild Goose canning system. For such a little piece of equipment, it can fly, pumping out nearly a case of cans each min! Its not every day that you come across a sour aged in Bourbon barrels, and we were all amazed at how deliciously complex Noon Whistles Bourbon Barrel Aged Face Smack turned out. Big vanilla and caramel on the nose gives way to a nice crisp and refreshing Berliner with notes of lemon, mint and dark cherry. Hopefully some of the barrels pictured contain more of this magical elixir! Noon Whistle is a remarkably open place. 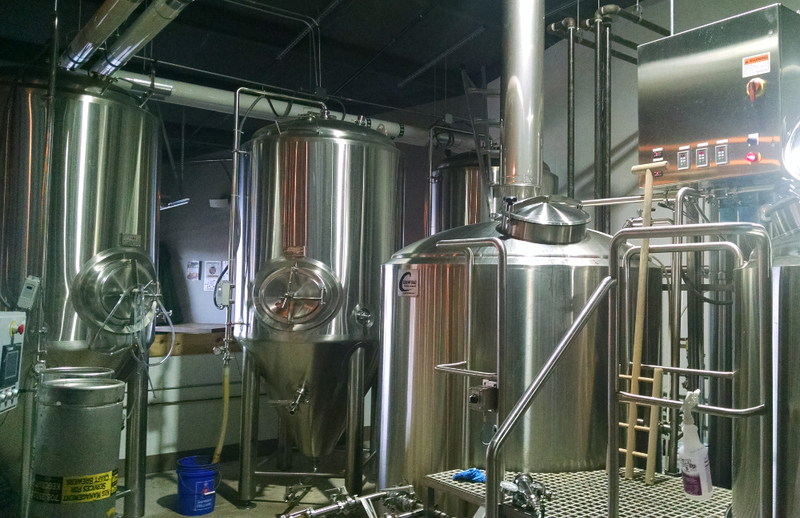 From propped doors and windows to a wide-open brew house, a visit to their tap house is an unobscured look into the laborious yet wonderful world of brewing. As they answered all manner of our questions, it became clear that they were as passionate about producing a variety of beers that catered not simply to one taste or trend but instead to the entire craft community. Theyve succeeded in creating a warm and welcoming space that is producing some remarkable beer, and for that we say thank you.